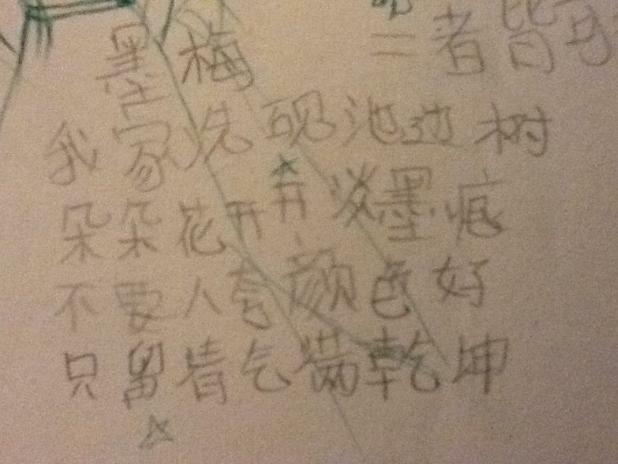 Going through some old stuff, I found one of my notebooks from high school in which a, I'm assuming, Chinese girl that sat next to me in a class wrote something. I'm wondering if someone can finally help me solve the mystery of what it says. Images are linked below. Thanks in advance. It appears to be some kind of poetry. I've made each "stanza" a separate image. The bottom two images overlap such that the line at the bottom of the second image is part of the second line of the third stanza. Indeed, there's poems. 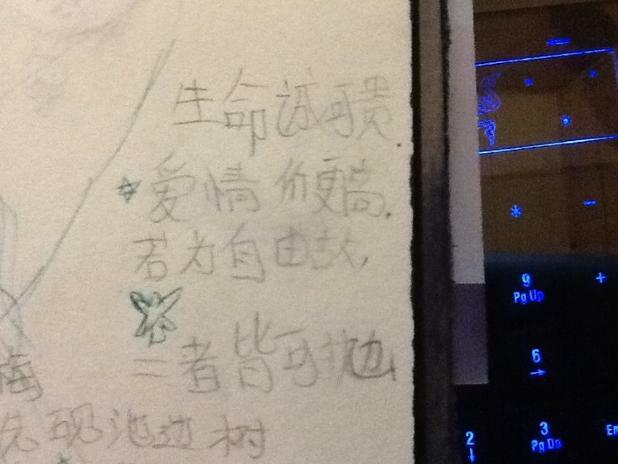 The first one is the first stanza of a poem by 孟浩然 (Meng Haoran). My husband says it's famous, of course I have no idea myself. Here's a rough translation, you can find others online by entering those lines in google. 夜来风雨声，there is wind and rain as night falls. 花落知多少。 One cant tell how many flowers fell. I don't know if those were written by the same poet. 只留清气满乾坤。just wish the good smell lasts for the world. 二者皆可抛。 both can be broken up. That helps a lot. 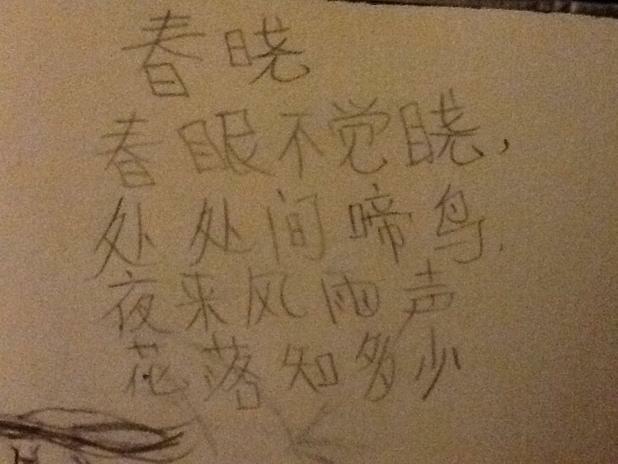 Just being able to copy the Chinese characters and paste them into Google allowed me to identify all three. From everywhere I heard the cry of birds. Who knows how many petals had fallen? But the fragrance fills the world"